Every year the Architectural League of New York recognizes eight dynamic young firms as Emerging Voices that have the potential to become leaders in the field. Historic winners like Morphosis (1983) and Toshiko Mori (1992) have become today's lions, and practices like Johnston Marklee (2007) and Tatiana Bilbao (2010) have jumped to new heights after recent wins. 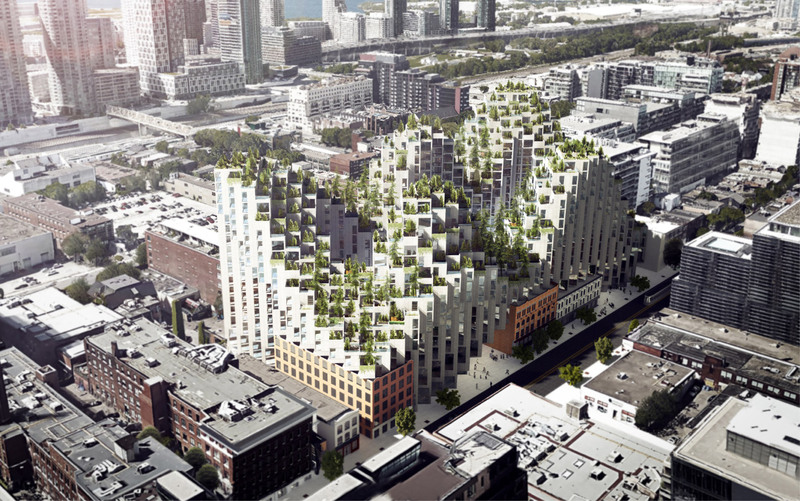 This year's crop was selected in a two-stage portfolio competition where a jury of architects selected the winners. The deciding jury included several previous winners like Dominic Leong (2017), Fernanda Canales (2018), and Marlon Blackwell (1998), giving the process a familial feel. Laureates for 2019 come from across North America and almost all are partnerships or collaboratives—capital letters feature prominently, too. 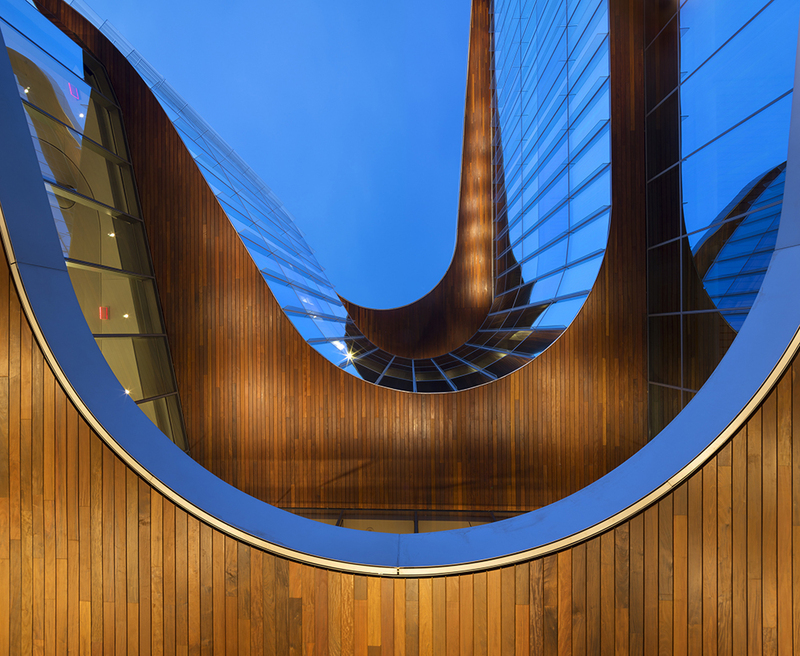 UUfie will lecture at the Scholastic Auditorium at 130 Mercer Street, New York, New York, at 7:00 p.m. on March 21, as part of the Emerging Voices lecture series. Despite being just ten years old, UUfie has snagged commissions in high-profile locations around the world that any practice would envy. Few firms of a comparable size have worked in three continents, and UUfie’s founders are aware of the benefits of having worked around the world; they credit their global experience with bringing “more cultural awareness and diversity in thinking” to their practice. The firm was founded in 2009 by Irene Gardpoit and Eiri Ota in Tokyo, where the two met while Ota was working at Jun Aoki & Associates and Gardpoit at Arata Isozaki & Associates. Their firm’s first project was a residential commission from a local family in Tokyo—where Paris-born Ota grew up—and there the practice grew for a few years before moving to Toronto in 2013. Gardpoit is a native of the Canadian city and said that the move was a fresh opportunity for the firm. Lake Cottage, a small home in the woods for a large family, has a more direct relationship with nature—it would be hard for it not to, given that it’s in the middle of a Canadian forest. Although the cottage adopts some conventional cabin tropes, like wood siding and an A-frame structure, it cleverly plays with these norms, twisting the retreat into a sleek fun house. It’s a bit difficult to grasp with words—a product of UUfie’s spaces’ subtle complexity—but essentially, the living room is nested inside the building’s frame like a Russian doll, with windows in the main space punched out to those surrounding it so that people in an above loft can peek in on those below. 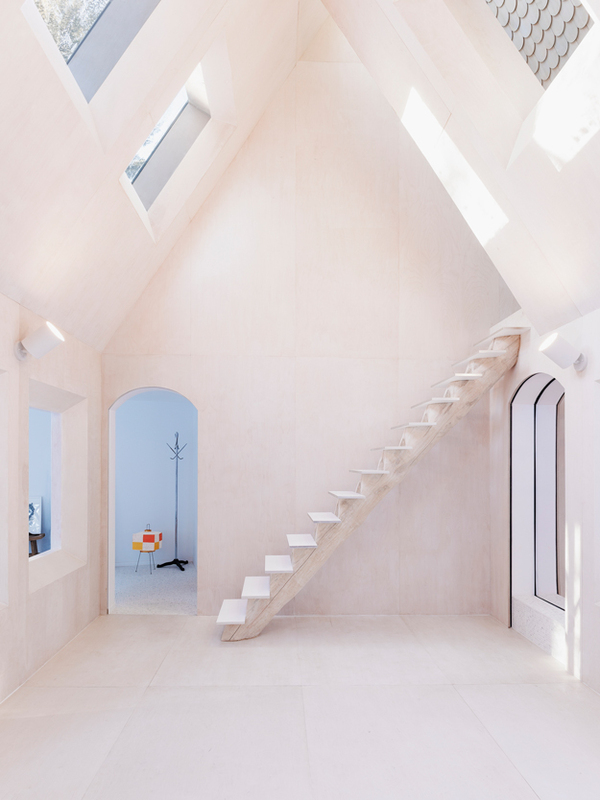 That same loft is lined with abstracted exterior shingles so that the living room “skylights” seem to be looking up at another building’s roof. It’s a funny mind trick that testifies to the firm’s ability to surprise with an economy of means, regardless of locale. 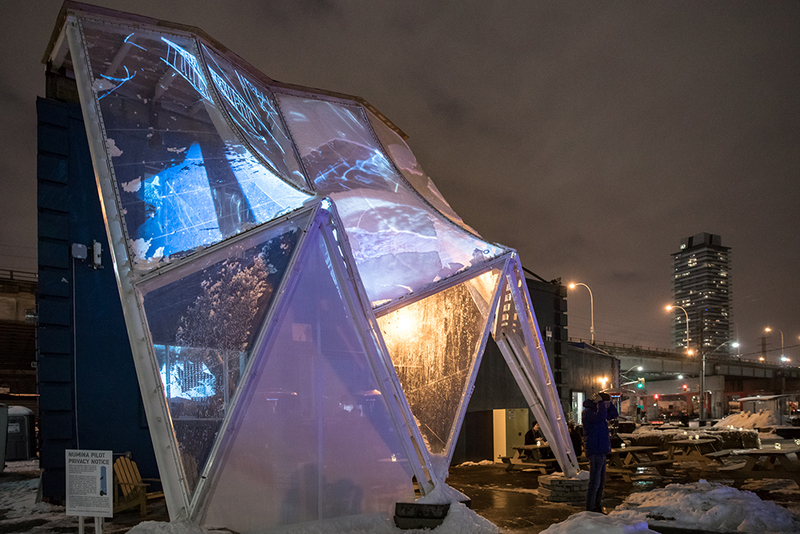 The third annual Ice Breakers Exhibition has returned to the Toronto’s downtown waterfront, dropping five public installations across the edge of Queens Quay West. 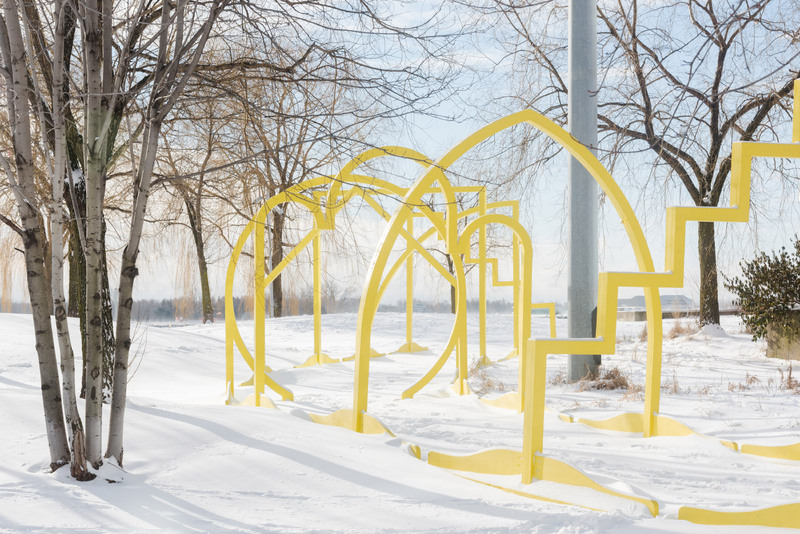 Ice Breakers is a collaborative public art experience jointly presented by the temporary arts advancement nonprofit Winter Stations, Waterfront Business Improvement Area, and PortsToronto, the Toronto port authority. This year’s Ice Breakers presents four winning designs from a variety of international teams, as well as a student entry from Ryerson University. The theme for the 2019 exhibition was “Signal Transmission,” and appropriately enough, each installation evokes sending or receiving a message. All five of the public pavilions for Ice Breakers were installed on January 19 and will remain on display through February 24. Chroma Key Protest, from Andrew Edmundson, principal of the Toronto-based Solve Architects Inc, references the language of protest. Twenty-five wooden buoys have been clustered and given blank signboards in chroma key green, the same color used in green screens. By appropriating the mechanisms of protesting but leaving the “signs” a color that can be anything, Edmundson invites visitors to project their own grievances onto the installation. 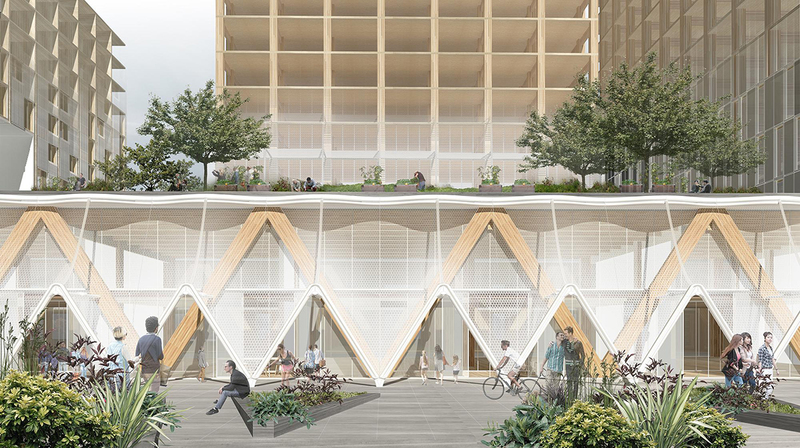 Stellar Spectra, from the Toronto-based duo of Rob Shostak and Dionisios Vriniotis, is split into two occupiable pavilions. Each captures and refracts starlight through the dozens of tubes that make up the structure of Stellar Spectra, flooding each of the “lighthouses” with warm and cool-colored light. Connector, from the Hamburg, Germany–based Alexandra Griess and Jorel Heid, at first glance resembles a jumble of wires. That’s intentional, as the designers sought to reference the birds’ nests of communication wires that arose at the beginning of long-distance transmissions. Each of the mouthpieces corresponds to another, but participants will have to hunt for the appropriate end if they want to have a conversation. Tweeta-Gate, from Eleni Papadimitriou and Stefanos Ziras, founders of the Athens, Greece–based Space Oddity Studios (SOS), invites visitors to embark on an audiovisual journey. The series of yellow gates, made from painted wood and joined by metal connectors, are cut into shapes reminiscent of architectural styles from all over the world. Each gate is adorned with bells that can be activated by passersby, or the sway of the wind and natural elements. Tripix, the student submission from Ryerson University, seems purpose-made for the Instagram crowd. The faceted, panelized structure uses a high-contrast color scheme, red-on-white, to draw attention to its central pillar. An appropriate scheme, considering the goal of the exhibition is to get Toronto residents off the couch and into the snow. 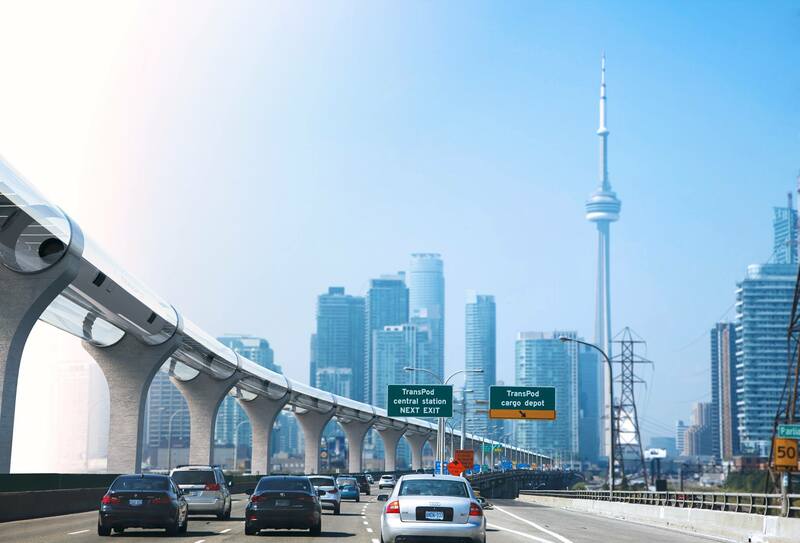 Concerns about data privacy continue to dog the “smart city” planned for the Toronto waterfront by Google’s sister company Sidewalk Labs. But it isn’t just residents and watchdog groups raising the alarm—consultants and advisors to the project are also jumping ship. The latest to leave is Dr. Ann Cavoukian, a privacy expert whose resignation was intended as a “strong statement” about the project's data protection issues. 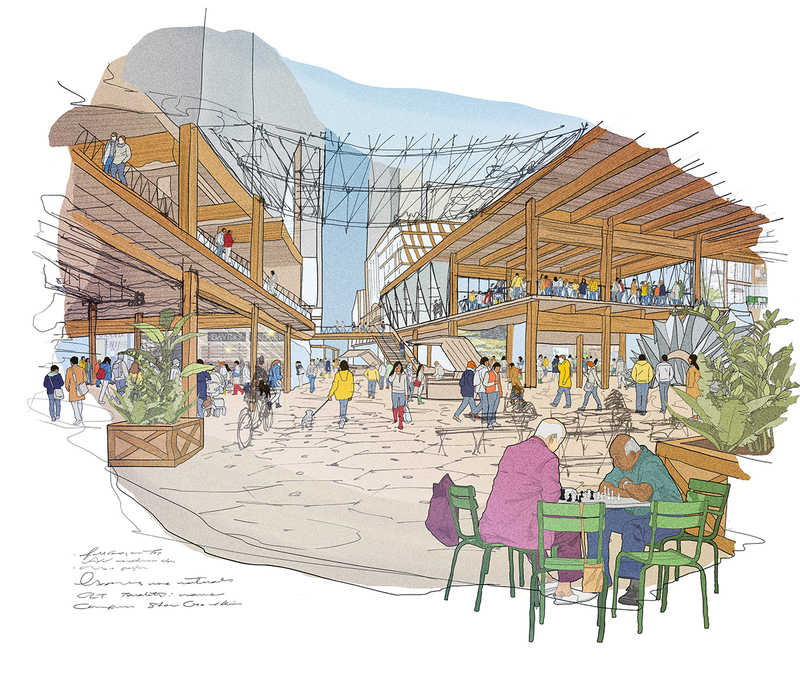 Announced last year, Quayside, as the neighborhood development is called, has from the beginning been envisioned as a district run on data and tech, and is the largest urban development of its kind in North America. A layer of sensors embedded in the city would control traffic systems, monitor air pollution, automate garbage collection, transport residents, and much more. In response to concerns about how it would protect the data, Sidewalk Labs just last week proposed that it should be managed by an independent data trust, according to a new data governance proposal. But this is far from enough for privacy experts like Cavoukian. “I imagined us creating a Smart City of Privacy, as opposed to a Smart City of Surveillance,” she wrote in her resignation letter. 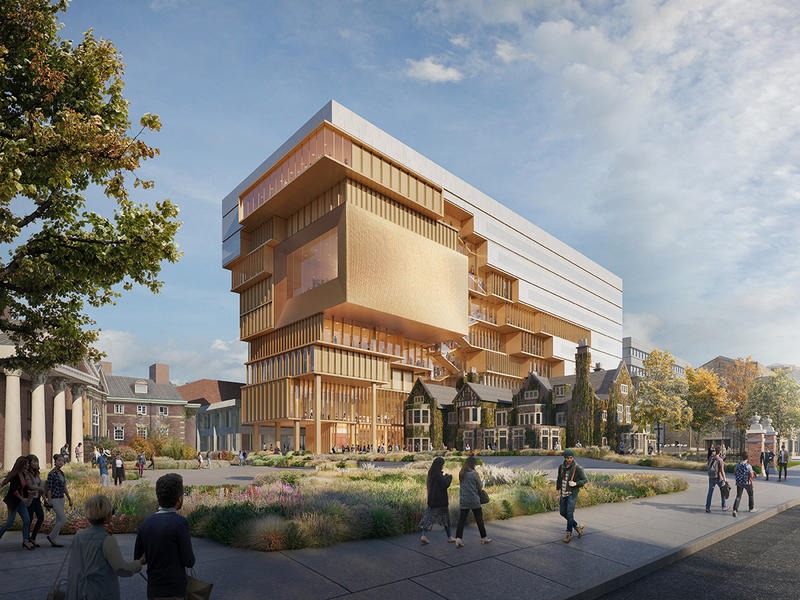 Cavoukian’s guidelines center around Privacy by Design principles, which incorporate privacy protection in every step of a project’s engineering process, a condition that she said Sidewalk Labs had also committed to. 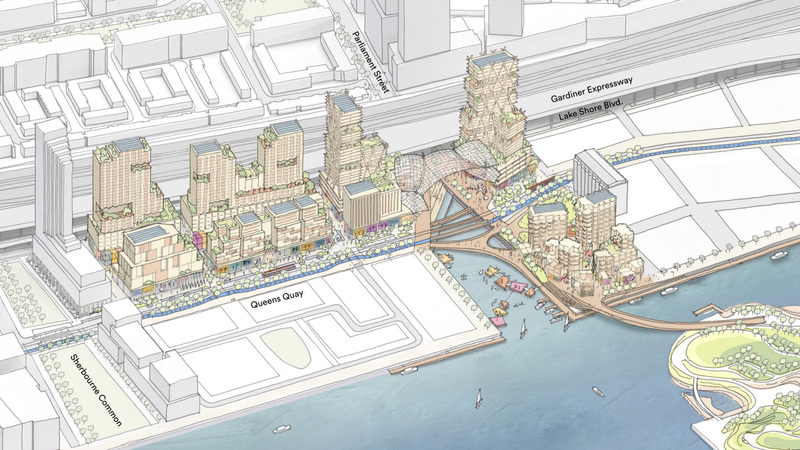 However, Cavoukian said she realized last week that the data gathered in Quayside, instead of being wiped and unidentifiable, would be available to third parties who would not be beholden to the privacy commitment made by Sidewalk Labs. 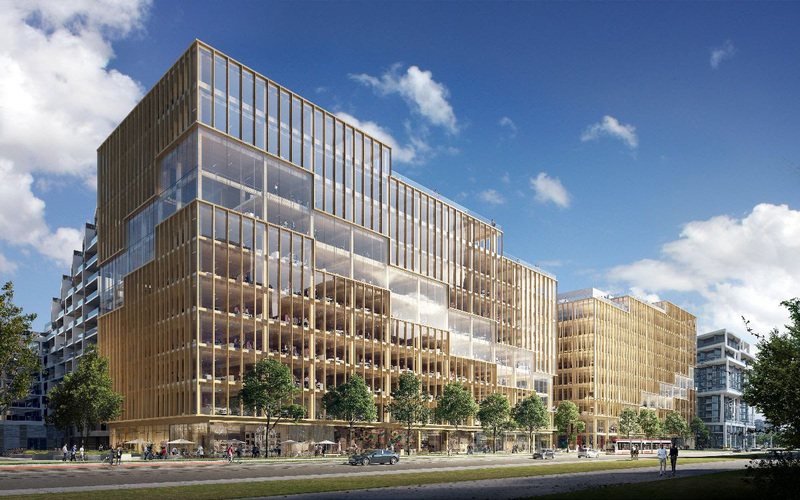 The Alphabet company, for its part, released a statement that essentially said its hands were tied: "It became clear that Sidewalk Labs would play a more limited role in near-term discussions about a data governance framework at Quayside." With Cavoukian's resignation, she joins Saadia Muzaffar, founder of Tech Girls Canada, who stepped down earlier this month from the project's digital strategy advisory panel due to what she called a lack of transparency and public information about its data protection measures. As Muzaffar wrote in her own letter of resignation: "The most recent roundtable in August displayed a blatant disregard for resident concerns about data and digital infrastructure. 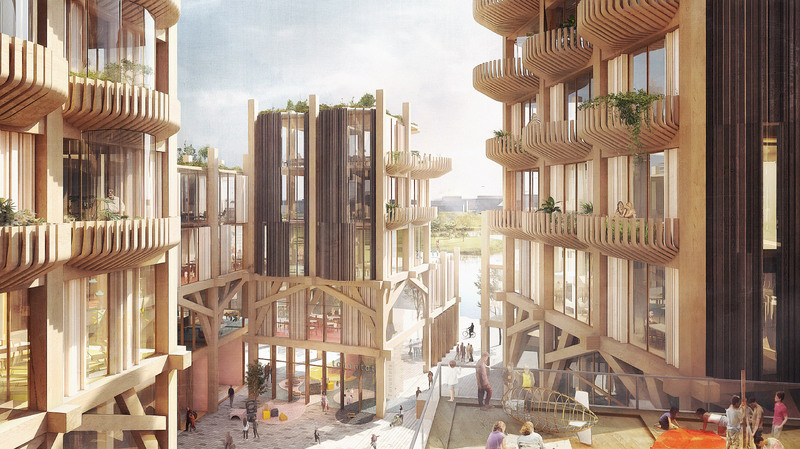 Time was spent instead talking about buildings made out of wood and the width of one-way streets, things no one has contested or expressed material concern for in this entire process.” The final plan for the tech-driven district will be released next year.